When Keeping a Low Profile is of Concern, We Offer VIP Dentistry! Our practice offers services to provide a private, yet productive environment in order for our cosmetic dentists to correct any dental problem you have in an inconspicuous manner. 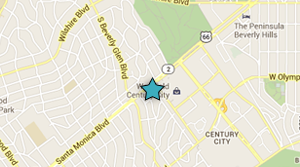 We can close off our Century City office from other patients until your work is satisfactorily complete. Your identity will remain uncompromisingly secure and nobody but you will have access to your records. We also provide a comfortable setting complete with a wide screen TV, beverages, magazines, cushioned seats and a friendly and courteous staff. We have worked with numerous high profile clients who have remained with us for years and have expressed nothing but positive feedback and acclaim from their experiences. We invite you to explore our many dental services, from the latest cosmetic dentistry procedures all-porcelain crowns, teeth whitening, or veneers to full-mouth restorations and general dental care. If you live in greater Los Angeles area, or if you are planning to visit California for business or pleasure and want to transform your smile and/or just improve your dental health an, call our office today and we will make sure to accommodate you. We offer highly personalized private dental care one patient at a time. Our entire dental team has the training and experience that enables us to provide dentistry of the highest quality with outstanding results. Combine that with our commitment to personalized service and attention to your comfort and well-being, and you have a dental experience that’s unlike any you’ve had before.